My name is Diane! I am a certified child life specialist (CCLS) at Nicklaus Children’s Hospital working in the respiratory unit (3 East). As a CCLS, my goal in the hospital setting is to teach children about their diagnosis and help them and their families cope with hospitalization. 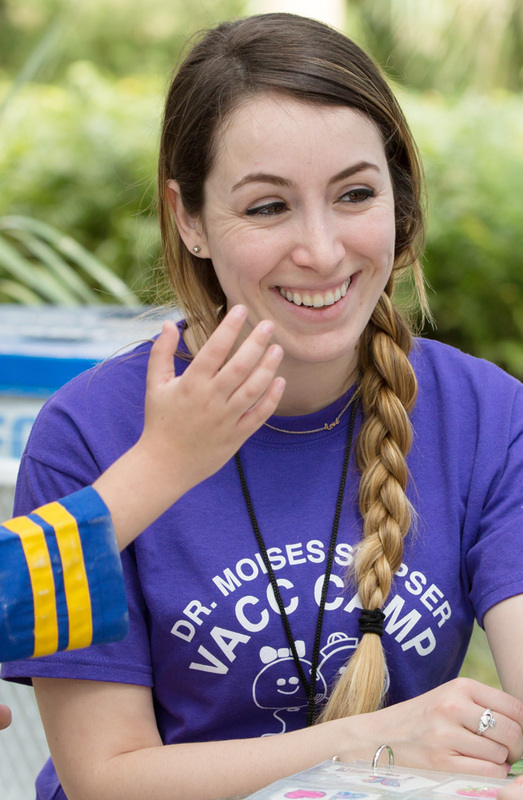 During a typical day at work I help children by normalizing their environment, I empower patients by giving them a platform on which to express their emotions, and I minimize my patient’s fears by helping them understand what to expect through education and medical play. I have a bachelor’s degree from the Florida State University in child development and Spanish as well as a master’s degree from Nova Southeastern University in developmental disabilities with a concentration in Child Life. 2016 was my first year working with VACC Camp and I was blown away with the immense positive impact this camp has on the lives of its campers, their families, and the dozens of high school volunteers that spend their spring break vacation dedicated to this organization. It is truly an honor to be a part of the VACC Camp family and I look forward to many more years of fun with this outstanding organization.